Many Of The Women Suffrage Movement White Leaders Both Democratic And Republican Were Against Any Blacks, Male Or Female Receiving The Vote. These Suffragettes Were Actively Against Fighting For Blacks In The Southern States Being Able to Utilize The Right To Vote That Had Been Supposedly Secured By The 15th Amendment(1870). Jim And Jane Crow Outrageous Acts Of Oppression Was Acceptable To Many White Suffragettes As Long As White Women Were Provided That Most Sacred Right Of American Citizenship. 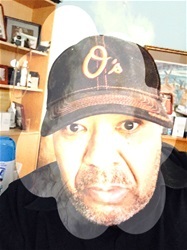 One Of The Major Reasons That Monroe Trotter Left The Niagara Movement And Hence Wasn’t One Of The Founding Members Of The NAACP Was Because Of His Opposition To White Women Seeking The Vote While Neglecting The Horrors Of The Right To Vote Being Visibly Being Snatched Away Openly From Black Men All Over The South. As A Matter Of Fact It Wasn’t Until Almost 5 Decades Before Any Blacks Male Or Female Secured The Right To Vote In Southern States By The Voting Rights Bill(1965). Even Now In 2919, Voter Suppression Isn’t Directed Towards White Women But Black Voter Suppression Has Cropped Up In Virtually Every Region Of The United States. 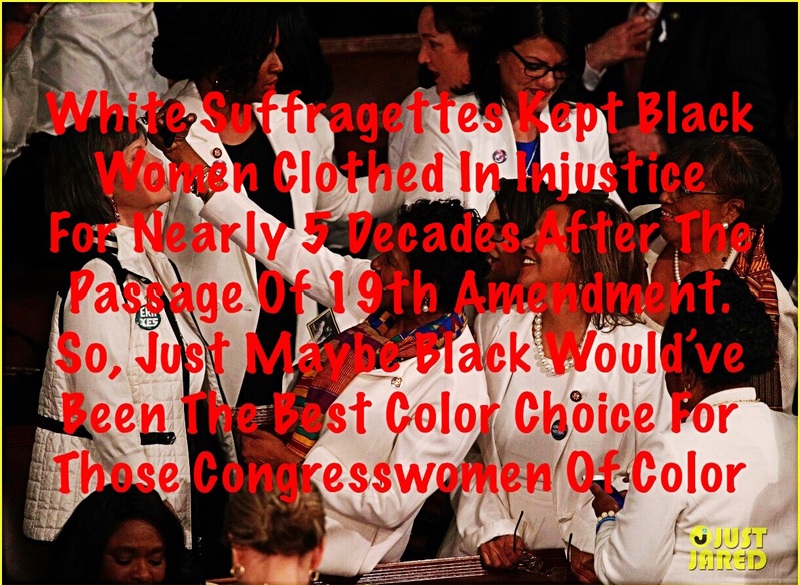 So, Rather Than Black Female Congressional Members Wearing White To Show Support Of The Issue Of Suffrage, They Should Have Dressed In Black Because Neither The Vast Majority Of White Males Or Females Have Been True Long Term Historical Supporters Of Black Suffrage. The Reality Of This Nation Is Some Of The Most Virulent Racists In United States Have Been White Females. I Don’t Have Anything Against My Sisters Wearing White Socially But Wearing White To Address Or To Voice Redress Of Inequalities Or Injustice Just Isn’t Relevant To Our History.